This post was published 1 year 2 months 15 days ago which may make its content inapplicable to the current Islanders roster and/or team news. This site is not responsible for any misunderstanding. The current state of the New York Islanders appears to be a mix of flux, confusion, slight panic and outright bewilderment. And that’s not even touching how the fans, or Isles Twitter feels (Spoiler: Isles Twitter is fiercely frustrated). Still smoldering from an overtime loss to the Nashville Predators last night, rumblings around town have it looking as if Islanders defenseman Scott Mayfield’s injury could potentially be quite serious. With a season ending injury already to Calvin De Haan and Johnny Boychuk close-ish to returning barring the setbacks that head coach Doug Weight alluded to – the Islanders may have no choice but to entertain a trade or even trades. That’s the obvious part, whats not obvious is who a trade partner or trade target would be. We know it would or should be AT LEAST a defenseman but the Islanders are sorely lacking a 1B goaltender who could steal a win or two and someone who could fill out lines three or four. 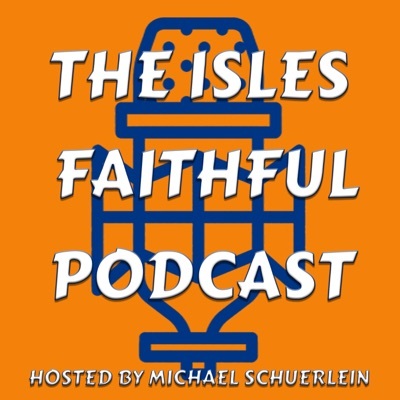 If you follow me on Twitter I posted two different links to articles that point to why the Islanders should be active – but only Garth Snow knows IF he will make a move to improve his team, something he hasn’t done midseason since his trade for Thomas Vanek. In the first article, from NHL.com – it goes on to state the injuries, the shots against and how the importance of earning points moving forward as examples for a move. The second article by Chris Nichols, quotes Darren Dreger of TSN has a little more substance. It cites the pending UFA status of John Tavares, injuries, the importance to show Tavares that they are headed in the right direction and the need to be aggressive as major factors to improve. Edit 02/07/14: Now The Fourth Period has posted an article as well, linking the Isles to Mike Green, Evander Kane, Erik Gudbranson, and Patrick Maroon. Kane would command a haul I’m sure and he has a poor history with Andrew Ladd. Mike Green is a right handed defenseman and we have a few of those, we need more left handed d-men. Gudbranson, while better than what we have, has terrible foot speed, as does Maroon. Would any of them be an improvement though? I suppose so, it would depend on the cost. Browsing the used defensemen aisle of the local store came up empty for me, which is a sarcastic way of saying that’s not an easy question. The Islanders need someone to replace, or at least pick up the slack left by De Haan, once such player is Niklas Hjalmarson of the Arizona Coyotes. BD Gallof had posted a comparison to the players earlier today on Twitter, and they are pretty similar – but what a move like this cost? Hjalmarson has one more year left on his contract after this season for $4.1 Million and is only 30 years old. The Islanders have a bevy of picks, vets and prospects they could use to try to pry him out of Arizona. Other names out there are Detroit’s Mike Green (a pending UFA), Colorado’s Tyson Barrie, and Ryan McDonagh of the Rival New York Rangers (the longest of long shots). As of today, the Islanders defense now consists of Nick Leddy, Ryan Pulock, Denis Seidenberg, Adam Pelech, Sebastian Aho and Thomas Hickey. If Boychuk returns, Seidenberg is out, as Aho has looked really pretty good. The issues are huge with this corps, shots against, the inability to defend a cross ice pass and the hesitation to clear out the crease. It’s as if this team has zero physical identity. This roster, offensively – is a dangerous one. While it can use a plug or two for energy and a defensive edge up front, it’s the backend that really, really needs the upgrade. The time is now to add, even though it’s pretty late in the game – but it’s not over. In my opinion a large part of the Islanders defensive woes belongs to the D zone play of the forwards. Sure, the defense has given up far too many scoring opportunities and shots overall. We need to be more aggressive overall. Halak has been playing better of late but still gives up too many juicy rebounds and has problems when the puck comes out from behind the net. I see the Islander forwards frequently not getting back fast enough. Too many odd man rushes. And when they are back and the opponents have control of the puck in our D zone, the forwards tend to play too deep. This opens up the points and the opponents kick it back. Next comes the uncontested D to D pass, shot, rebound. They need to step it up a bit in the neutral zone as well to slow down the entry. So I believe the forwards are as much to blame as the dmen for our defensive issues. Help us Snow and Weight!!!! 100% agree on all points. Ladd had a really lazy backcheck during overtime against the Preds the other night being just one example. I’ve noticed there’s no “overdrive” or hustle from a majority of the players on the back check or even chasing loose pucks. Halak has for sure stepped up his game and done his part, and for the most part I don’t mind shots from the outside or long range but I’d prefer we try to force a pass or just clog lanes in general.